I am in love with life, centered and at peace, either helping clients or immersed in my creative projects and spiritual practices. But it wasn’t always this way. 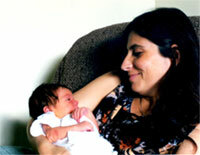 I felt like the “Ugly Duckling” as a kid and very alone most of my life, except for my experience as a mother (that’s me and my baby below). I yearned for love but felt trapped in my relationships and out of place in the world, seeking a sense of purpose. 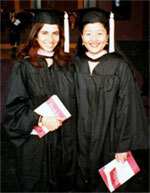 I spent years working on myself to find emotional freedom and make sense of my life journey. I’ve always perceived life as energy and had access to other dimensions. But the dissolution of my 13-year marriage was a crucial turning point, because my grieving brought up cosmic memories of the wounded Feminine on the planet, along with the pieces I needed to put together to finally ‘hatch’ and start truly embracing and loving life. It was time to finally resolve the persistent angst, pain, and confusion of being an Indigo adult, to heal ancient wounds and help the Indigo and similar feminine souls that came seeking my guidance. Through my intuitive gifts and over 30 years of experience exploring the mind, psychology and spirituality, I’ve developed an effective system of self-exploration and energy management to help YOU let go of what holds you back and create an abundant life or business you LOVE, in alignment with your soul! I believe both your success and how much you enjoy life rely on how consciously you manage your emotional and creative energy—that is, how in tune or in sync you are with deeper, more feminine aspects of your soul. I grew up surrounded by the Shamanic culture and rituals of Mexico, and was able to sense energies, spirits, and entities around me from a young age. I could see through people and knew what they were feeling, and was able to perceive past lives, including many of my own. I also sensed when the energy was out of balance and would unconsciously compensate for it. Although my healing journey started as a kid, pondering upon the meaning of life and rebelling against the limiting religious views of my culture, it really took off when I dove into seven years of intense counseling (in the form of psychoanalysis) that led me to a 3-year ‘personal retreat’ in almost complete isolation. I was then touched by the Divine for the very first time, even though I had rejected anything that even smelled like religion since childhood. It was a true awakening. I had mystical experiences and unusual encounters with non-physical beings, as well as casual meetings with people who helped me better understand what was unfolding within and before me. These included metaphysical teachers and traditional curanderos (shamanic healers). I began to comprehend the nature of the mind, how energy works, and how Consciousness weaves all life and human experience. Needless to say, this changed me completely and forever. I’ve met several enlightened teachers, both from the Buddhist and Hindu traditions, and I am deeply grateful for their continuous guidance. I first discovered Theravada Buddhism with Ajahn Tong Sirimangalo, an enlightened master and highly revered monk from Thailand, who initiated me as a nun during a 40-day Vipassana retreat. I began understanding what the ego-mind was about right then and there, when I shaved my head and eyebrows (yikes!) 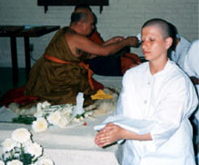 and spent the whole day practicing meditation (yep, that’s me on the photo, with no facial hair, right after my initiation). I realized that the monastic life was not for me, but traveled to Thailand for another retreat and to meet other teachers in my lineage. From Thailand I jumped to India for the first time and knew that my path was about to change: India felt like home. Soon after I got back, I was initiated by Sri Anandi Ma, an enlightened saint and the spiritual heir of Kundalini Maha Yoga master Sri Dhyanyogi Madhusudandasji. 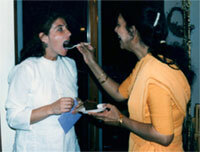 I immersed myself in their spiritual teachings, techniques, and rituals for over 12 years (in the picture she’s feeding me cake for my birthday). I had been attracted to the culture of India since childhood, and the Hindu style fit my nature easily. The mantras and practices that I was initiated with continue to be a treasured aspect of my daily spiritual discipline. I’ve also been blessed by other spiritual teachers and saints over the years, both in the body and in non-physical form (you can see me here with my dearest Baba Hari Dass at his ashram/orphanage in India). Yet as life challenged me in many ways, I became less reliant on the external form of teachers or spiritual groups and more intensely focused on my self-exploration and self-inquiry while also furthering my studies of yoga philosophy and Vedanta. When my mother was dying, I intuitively used some of the spiritual tools I had learned over the years, and soon realized I had the ability to connect with her on a soul level. I became a clear channel of energy, guided by non-physical masters, and removed all her energetic blocks, fears, attachments, and regrets. I helped her be at peace so she could die in peace. Now I can help you become emotionally free to live an empowering and fulfilling life, and eventually reach spiritual freedom! To quote an astrologer while looking at my natal chart, I have “a natural broadband connection to higher dimensions.” I can connect with you on a soul level to guide you on your life path and purpose, and channel healing energy and higher wisdom while I coach or teach, often integrating homeopathy with my spiritual counseling, to increase your intuition and insight and speed up your healing process and self-growth. 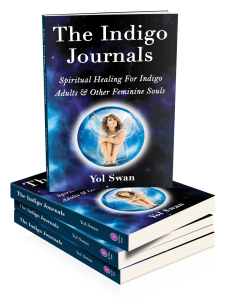 Learn more about my journey, my system of spiritual healing and philosophical insights, as well as some of the practical self-empowerment tools I’ve developed, in my book The Indigo Journals: Spiritual Healing For Indigo Adults & Other Feminine Souls, an International Favorite Readers’ Book Award Finalist! Embark on a journey of self-exploration and personal growth to discover your soul type and spiritual wounds, unlock your hidden power and fulfill your purpose to bring balance to an overly masculine world. I believe that feminine souls in female bodies will change the world and my work supports these causes: One Billion Rising, 10×10: Educate Girls, Unstoppable Foundation, and Central Asia Institute. I was able to integrate my life puzzle into an authentic life and business I LOVE, and I can help you do the same. Book a free Discovery Session if you’re ready to get started today!